So, you think it’s easy to compose a tune? Try this simple four-bar test and compare yourself to the German classical master Johann Sebastian Bach. The Bach Google Doodle is fun and really easy to play along with and match harmonies. 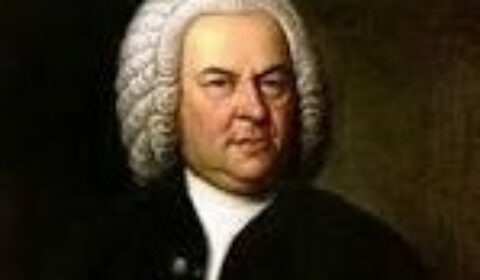 Johann Sebastian Bach’s birthday in on March 31, but it’s celebrated March 21. To celebrate the great German classical composer’s birthday March 21, 1685 (334 years ago) Google created an interactive AI (artificial intelligence) Doodle that lets you compose a few bars on your computer device — and it will compare your notes with Bach’s vast library and it will create a matching harmony for you to hear and share. It’s an incredibly easy and rewarding learning tool. “Machine learning is the process of teaching a computer to come up with its own answers by showing it a lot of examples, instead of giving it a set of rules to follow as is done in traditional computer programming,” the statement reads. Google used AI to let you write the melody and hear Bach’s harmony. The model used in the Doodle was developed by Magenta Team AI Resident Anna Huang. She developed Coconet, which is a “versatile model that can be used in a wide range of musical tasks.” Coconet was trained on 306 of the German composer’s chorale harmonizations. In a video accompanying their statement, Huang talked about Bach — whose birthdate was March 31, 1685, though his birthday is celebrated on the 21st — and how she developed her idea.